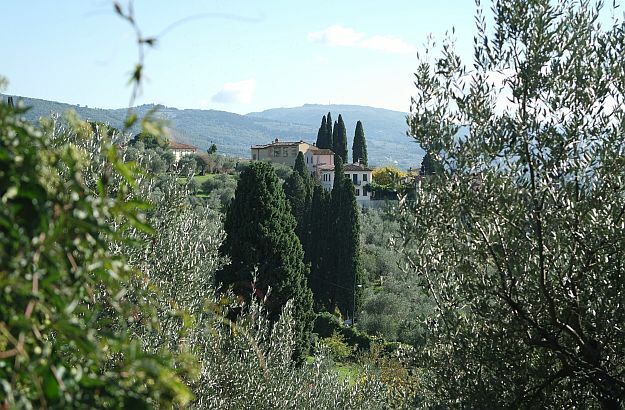 Settignano offers magnificent views of the Florentine countryside. 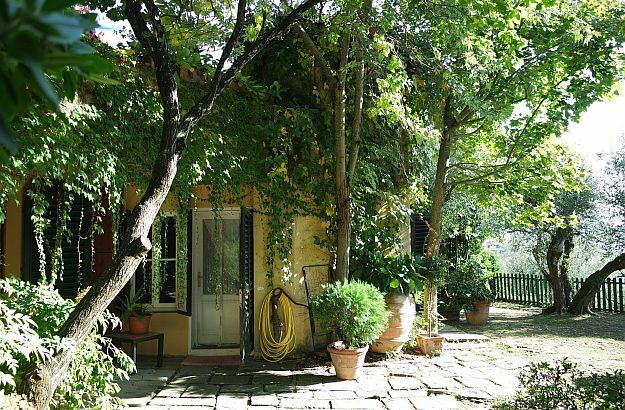 Emiko and I had our aperitivo in the garden of her cosy home. Emiko is showing me a wooden cutting board from the Maremma. Before the main dish: a few delicious starters and appetizers. Leafing through the Florentine cookbook which Emiko has authored. “Since you’re in the area, would you like to come over for lunch tomorrow? 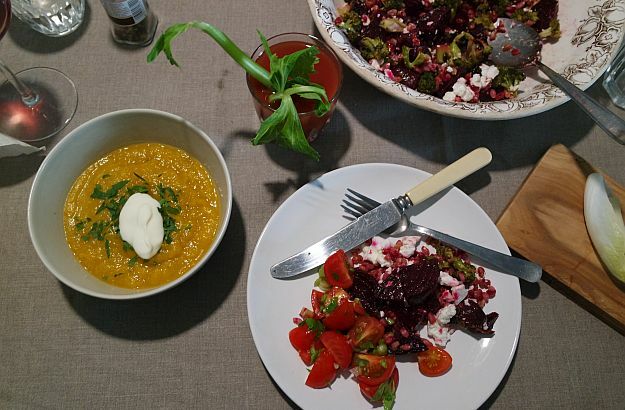 When a talented cookbook writer invites you over for a home-cooked lunch, this is an offer you can’t refuse. 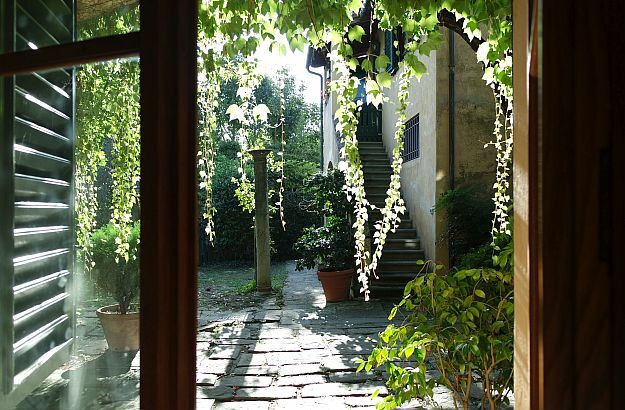 Emiko Davies recently moved to Settignano, a small picturesque town situated on a hillside northeast of Florence. Many famous people have lived there over the centuries, attracted by the beauty of the location – Mark Twain, for instance, who wrote close to 2,000 pages in Settignano, and who said that from the Villa Viviani, where he was staying, he enjoyed “the most charming view to be found on this planet”. Emiko welcomed me with open arms and an excellent Bloody Mary, which was a perfect prelude to the wide selection of dishes my hostess had prepared for our lunchtime get-together. Some of these dishes were already familiar to me: I had discovered them in The Florentine, a cookbook Emiko has authored to introduce the English-speaking readership to Florentine cuisine. 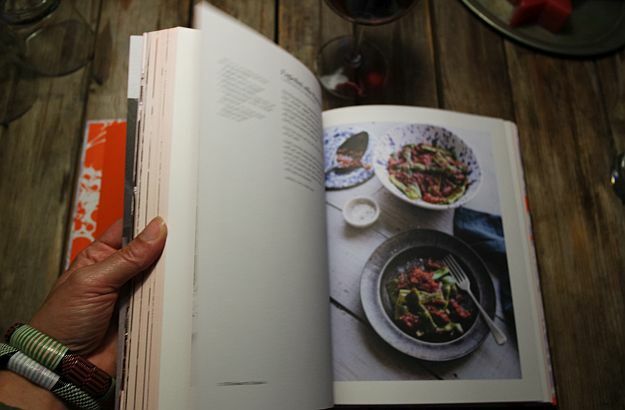 I love cookbooks, by the way. I even have in my “kitchen library” Pellegrino Artusi’s legendary recipe book, written more than a hundred years ago. During our lunch, I was really happy to hear that Emiko’s latest project focuses on the food from one of my favourite Italian regions, the Maremma. After a short stint in Australia, Emiko and her Florentine husband, Marco, a professional sommelier, moved to Porto Ercole on the Monte Argentario peninsula, for a whole year. Emiko took advantage of her presence there to research and try out the local dishes and recipes, and undertake the writing of a new cookbook which will be published in March 2017 under the title “Acquacotta: Recipes and Stories from Tuscany’s Secret Silver Coast”. You may be pleased to learn that you can already pre-order it here. 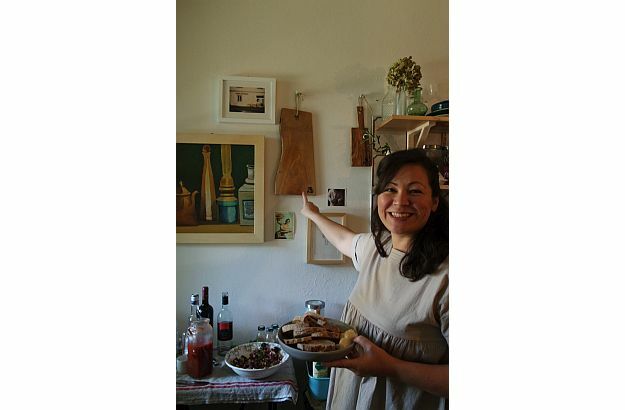 I also invite you to pay a visit to Emiko’s lively and informative blog, a treasure trove of Italian recipes, photographs and slices of life.